UPDATED, September 24, 2013: Lawyer acting for Grace Beasley in this case, Tanya Collins, told the Alice Springs News Online that the Nolle Prosequi was filed subsequent to her writing to the DPP that there was insufficient evidence against her client to substantiate her involvement in the death of the deceased. There was no direct evidence to say that she was responsible for the deceased’s fall to the ground, nor that she hit her in a way as to cause significant injury. The evidence at its highest suggested some pushing and pulling and hair pulling. Ms Collins pointed out that Reggie Nelson, under cross-examination, agreed that the women were pulled apart quickly and that Kumunjayi Nelson was not punched by Grace Beasley; that when Kumunjayi was on the ground, Grace was nowhere near her. In my synthesis of the events below, I inadvertently overlooked this admission. – K.F. UPDATED, September 4, 2013: A Nolle Prosequi has been filed in this case by the Director of Public Prosecutions. This means that it will not be pursued. In keeping with DPP policy, no explanation has been offered to the media. 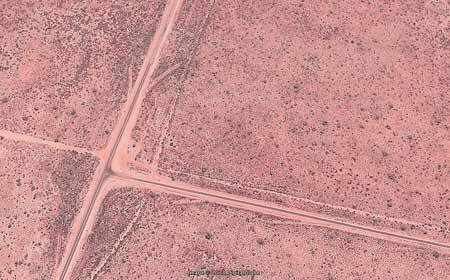 After a long day’s drinking four carloads of people ended up at the turn-off to Ali Curung on the Stuart Highway, south of Tennant Creek. Most of them lived at Ali Curung and were family or knew one another. Most were a bit drunk, or very drunk. Grog was running low, arguing and jealous fights broke out. And a woman died. Cause of death: a subdural haemorrhage. The only external injuries were some superficial abrasions, but the autopsy revealed that she had suffered a number of blows to the head, including two to the middle of the face, one or all of which may have contributed to the haemorrhage. The injuries were classified as “mild”; there were no broken bones. Her blood alcohol reading was .224. While subdural haemorrhage is always associated with trauma, this “acute alcohol toxicity” may have contributed to her death. Forensic pathologist Terence Sinton explained: the woman’s self-defence abilities would have dropped; and there may have been “a synergistic effect” between the toxic chemical delivered direct to the brain tissue and the trauma from the blows. She had a pretty French first name; her second name was Nelson. She’s referred to now by the bereavement term, Kumunjayi. After a two and a half day preliminary examination in the Alice Springs Magistrates Court this week a young woman named Grace Beasley was ordered to stand trial for causing her death, negligently or recklessly. The Crown conceded that a charge of murder could not be maintained: there was no overt action that could indicate an intention to kill or cause serious harm, said prosector Ron Noble. Grace Beasley looked relieved. She’s an attractive young woman in her mid-twenties, with an eager manner and bleached strands at the front of her dark shoulder-length hair. She nodded sagely as the bail conditions were read out: she must reside at Ngukurr and report weekly to police there, she’s not allowed at her home community of Ali Curung, nor at Wycliffe Well or Wauchope – roadhouses on the highway that cropped up frequently in the evidence – and she’s not allowed to drink. Her mother, Lucy Jackson, was waiting at the courtroom door. Grace smiled and waved at her to come in. Lucy, who works as an Indigenous Engagement Officer at Ali Curung, is acting as surety and was ready to set out immediately on the long journey to Ngukurr with her daughter. The day of “the trouble” was Saturday, December 8, 2012. In the early hours that morning a nurse was called to the home of Kumunjayi who was having difficulty breathing. Kumunjayi declined to be examined and refused to go to the clinic the next day. Instead she set off for Wauchope with her partner, Lance Brown, and other relatives. A first round of five six-packs of VB was bought and drunk, followed by two more six-packs before they moved on to Wycliffe Well. Here, around mid-afternoon at a drinking spot near the roadhouse, Lance and Kumunjayi crossed paths with a carload of five women from Ali Curung, including Grace, her sister Gabrielle Beasley and their mother Lucy. The women were making their way through four six-packs, having started around lunchtime, but they didn’t want Lance and Kumunjayi to join them. Lucy “growled” them away. Why, asked Grace’s defence lawyer, Tanya Collins. They were “already drunk”, Lucy said, and were asking for more grog. Meredith Riley, though, was welcomed. She’d started drinking at about 11 in the morning, with a six-pack to herself; she had a couple more cans with Lucy and family. Around sundown Lucy set off for Wauchope to replenish supplies. She bought another eight six packs and went back to the same place near Wycliffe Well, joining her daughters and staying there until the sun went down. Another group from Ali Curung turned up. They were in a little white car that was missing its front windscreen. On board were Reggie Nelson, his wife Roslyn Egan, Verena Friday and Jason Lane, all of them young people, at a guess in their mid- to late twenties. They’d been drinking at Wauchope, sharing four six-packs and then topping up with two more. Verena and Roslyn each said they’d had about 10 beers by this time. The white car needed fuel and they asked Lucy’s group for help. The women agreed in return for more grog. In the meantime Lance and Kumunjayi were having a sleep in a red Ford they’d been travelling in. Lance’s uncle then asked them to go back to Ali Curung to pick up other family to join the party. The dangers of drink-driving don’t seem to have been given a second thought (by them or anyone else). By Lance’s account, the couple seem to have gone back and forth a few times between Ali Curung and the roadhouses before finishing up at the turn-off. He says he was a “little bit” drunk by this time, having had eight or nine cans of VB. There was no sign yet of anything going badly wrong for Kumanjayi. He said she’d had seven cans. She was still walking and talking. The turn-off (at right, Google Earth view) is a cleared area by the highway with a bus shelter, a solar light, a mail-box. Ali Curung, population 200, is about 22 kilometres to the east. Some people stayed in their cars, listening to music. Others gathered in or near the bus shelter. The white car was having trouble. Lance helped Reggie and Roslyn try to push start it. Tempers were getting frayed. Reggie and Roslyn started arguing and then Reggie, who admitted to getting a bit wild when he’s drunk, smashed the rear windscreen (the front was already gone). Jason, who’d been with them much of the day and had bought them grog, then got into a fight with Reggie. “He was jealousing me for his wife,” he said. That fight was “finished”, said Reggie, when another broke out, between Grace and Kumunjayi. Grace had asked for some beer; Kumunjayi got angry with her, “jealousing her for Lance”, said Reggie. He saw Kumunjayi pull Grace’s hair, but didn’t see Grace pull Kumunjayi’s hair. In his first statement to police, his evidence was far more damaging. He said he saw Grace hit Kumunjayi five times with a rock. In a second statement, however, he said he saw Grace pick up a rock and try to hit Kumunjayi with it but he stopped her, along with Gabrielle and another young woman, Aisha Rice. But, he told police, Grace did punch Kumunjayi a couple of times. Which was the “true story”, prosecutor Noble asked him. Grace only punched Kumunjayi, said Reggie. The court did not hear Grace’s version of events: she has exercised her right to silence. Jason said he saw the two women pull each other’s hair but he didn’t see or hear anything else; he was “busy”, “hungry” (rubbing his stomach), and looking for more beer, which he got from Gabrielle. Verena was off in the bushes, going to the toilet, and Roslyn was with her. Verena said she could hear Grace and Kumunjayi – there was “jealousy going on”. Grace was saying, “You keep jealousing me.” Kumunjayi was accusing, “You and Lance together.” She also heard Lance speaking angrily, telling Kumunjayi to leave it, that he wasn’t with Grace, that she (Kumunjayi) was his wife. When Verena came back, Kumunjayi was lying on the ground near the white car. Roslyn too said Kumunjayi “was jealousing Lance for Grace”. Kumunjayi wanted Lance to go back to the car. He didn’t want to listen. “You know how they are when they drink and don’t want to listen,” Roslyn commented. Lance was “busy”, she said, going around looking for smokes and grog. She didn’t see the fight. Meredith was “drunk and sleepy”. She didn’t see anything, but heard the two women’s voices. They were speaking in “pidgin English”. “I heard Grace saying, ‘She always jealousing me about her husband,’” said Meredith. Roselda Hogan arrived at the turn-off. She’d been to Wauchope earlier in the day to get smokes and had been drinking there. She parked near the shelter and stayed in her car listening to music. She didn’t see the fight but afterwards tried to calm Grace down and took her back to Ali Curung. Aisha had spent the day with Lucy’s group. She called Kumunjayi “Aunty”. She’d seen her earlier in the day at Wycliffe Well. She’d asked her for a smoke: “She was sober then.” Next time she saw her was at the turn-off. Aisha herself was very drunk by then. How many cans had she had? “It must be more than 10 cans,” she answered. In her first statement to police she said Lance was hitting Aunty and she told him to stop. Now her evidence was that she heard someone “calling his name, ‘You can’t do that, she’s drunk.’” She turned around and saw Lance walking away and Aunty lying on the ground near the white car. Gabrielle said Kumunjayi grabbed Grace by the hair only once, before Gabrielle pulled them apart. Someone else pulled Kumunjayi away, but she didn’t know who. She didn’t see Lance. She saw Kumunjayi lying on the ground but didn’t know how she ended up there. Grace was Lance’s ex-girlfriend. He confirmed this. He saw Kumunjayi walking towards her. She was upset, swearing. The women grabbed one another by the hair. He didn’t see other fighting, it was too dark. Lance pulled Kumunjayi away, telling her “I don’t want to see you fighting.” He said he did it “gently” and took her to sit down. Reggie, though, said Kumunjayi fell on the ground when Lance pulled her away and that she lay still after that. He said she hit her head but it was a “soft” impact. Lance then left the scene, “took off”, as Gabrielle described it. When he got back, a couple of hours later, Kumunjayi was inside the white car. Verena agreed that it was “little bit long” before he came back. A couple of hours? Yes. She said she had sat with Kumunjayi after the fight. Kumunjayi told her she was scared of Lance. She was complaining of pain in her back and said “they was just hitting me”. She wanted to go home. The white car wasn’t working. Kumunjayi could no longer move herself. The rear doors couldn’t open, so she had to be dragged through the front. Lance said he held her tight and asked Roslyn and Verena to help carry her to another car. Verena said Kumunjayi was moved first to the red car, but it wasn’t working either, so then she was moved to a blue car. Roslyn said she and Verena pulled her into the blue car from one side, with Lance pushing from the other. She said Kumunjayi was still talking a bit to Verena, telling her she wanted to go home and that she was feeling sick. Once they got her inside the blue car, though, they realised she wasn’t breathing. They drove straight to the clinic at Ali Curung. A subdural haemorrhage is not always fatal, but for Kumunjayi it was too late. Pictured, top: A roadside drinking camp. The inscription on the cross-piece reads, “Let there be light in the darkness.” Both photos courtesy Russell Guy. The previous comments, regarding the assumption that restricting alcohol supply to people who are already addicts might somehow prevent harm, are forgetting that prohibition never works. You make it harder for people to get what they need and they will simply sink further to get it. Take everything and they’ll sniff deodorant cans. Take a few steps up the line and address the reasons these people fall into hopelessness and ONLY THEN will the issues of alcoholism and violence address themselves. Alcohol, does anyone really need it? No! but then again in the name of money the publicans do, the politicians do, the police do, the prisons do, the whole legal system does, yes, a whole cross section of the community do need it to either get rich or justify their existence. Does the general public need it? 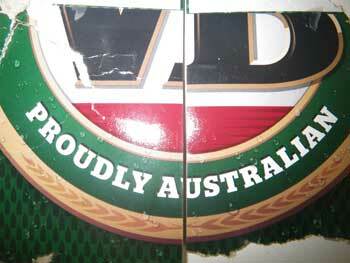 Sure they do but they are the sensible, responsible drinkers that don’t have a drinking problem … or do they? All these people make a lot of noise at the very thought of restrictions or removal of alcohol, but never a murmur, not in the slightest when one another of those black people die as A DIRECT RESULT OF ALCOHOL. I agree with Russell. If sensible arrangements had been in place, it is highly likely that some of the excessive drinking and associated behaviour would not have occurred. 1. a daily alcohol product purchase limit for individuals, and an overall limit for occupants of vehicles in this region (except for bona fide travelers or other exempt persons), supported by ID scanning. (This principle was applied on the weekend of the All-Stars vs Richmond AFL game on February 8 in Alice Springs, and all parties attested that it helped to greatly reduce the amount of grog consumed and the amount of alcohol-related harm on that occasion). 2. income quarantining at 70% or more of their welfare entitlements for those individuals who had been in protective custody for excessive drinking too often in the previous few months, or who had been charged with alcohol-related offences. This quarantining would reduce the quantum of cash available to members of these drinking groups to spend on alcohol on particular days. 3. removal of these establishments’ licences to sell take-away alcohol, or at least beyond prescribed quantities or products, except to bona fide travelers or other exempt persons. The latter applies at Curtin Springs and some other NT roadhouses and clubs, and has led to greatly decreased alcohol-related death rates on roads and at communities in regions which have these rules. Any or all of these measures might have assisted in preventing this death. From the information presented in this story I fail to see how Russell can conclude “sensible alcohol supply laws” could have prevented this death from occurring. The story also poses some issues for supply-side interventionists. If one or more of those named had been on the BDR they would not have been unable to purchase the six packs, but others would still have been able to buy the grog. In fact the story suggests there were many involved in the purchasing transactions. Purchases were split between the outlets at Wauchope and Wycliffe demonstrating just how easy it is for people to get around daily can limits imposed by outlets. I’m guessing the cost of a six pack at both places is higher than at Alice Springs and Tennant Creek. But that didn’t seem to be an impediment to this group of people between them purchasing and consuming in excess of 25 six packs. I wonder how many car loads and busloads of people dropped into or drove past these supply points on the same day and managed to continue their journey safely and didn’t get plastered even though there was a supply of grog available. I’d like to see some demand side strategies devised to complement the supply strategies. Not that I’d want to even if I could afford it, but I have better things to do with my money and time than get wasted at any opportunity. I wonder how many young kids these people have responsibility for and how they decided their money and time was better spent on the grog at the Ali Curung turn-off than spent for the benefit of those kids. This is a very poignant story, Kieran, as is any about loss of life that could have been avoided had more sensible alcohol supply laws been in place. Your story is more revealing than the tens of thousands of words published over the past eighteen months on alcohol abuse in central Australia. Some will maintain that these people should have been more responsible in their drinking and that’s a valid argument to a point. The facts show that they were able to access so much alcohol, far exceeding the generous, some Aboriginal people are saying too much, daily personal limit (I hope Adam Giles is listening to that and being proactive). That this could be obtained in a vicinity so far from the nearest town is an indictement on current supply laws and without labouring the point, the BDR would have helped in this situation. This morning, I went for a walk in the bush. The wind in the casuarinas made a relaxing sound. An eagle was riding the wind current and I stopped to watch as it circled downwind and then into wind, rising higher on outstretched wings. William Blake wrote that when you see an eagle, look up, because “you are seeing a portion of genius”. I thought how great it would be to be an eagle. I doubt if I would ever want to come down. Further into the humble mulga, it was so quiet and fascinating, just observing the ants’ nests, some of which have been constructed in trees out on the grassy plain. What an apartment! Those ants know how to live. That the bush has been reduced to a dumping ground for beer cans and bottles of hard liquor over so many square kilometres of the NT seems pathetic when you consider that you could be related to that eagle or those ants, if not by kin, then by an affinity for the natural world at the heart of the Dreaming. Many posts to the Alice Springs News Online relate the degradation of Indigenous alcoholism, but as the song goes, “before you accuse me, take a good look at yourself”. Housing in places like Ali Carung are fairly simple arrangements, but they have the natural world impinging 24/7, whereas in towns, housing is more sophisticated and expensive and one is lucky to see the moon during the day because the view is lateral, boxed-up and driven to paying the bills which have locked residents into the grid, rather than the circle of seasons and ceremonies. 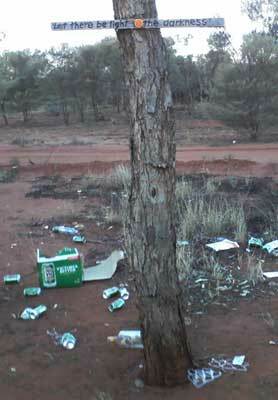 That Indigenous people are so highly represented in the socio-pathology of the NT is largely because of alcohol-abuse. The stresses of modern living such as high blood pressure, diabetes and respiratory ailments, et al, are not, of course, exclusively Indigenous. It’s about time, Australian society told the liquor industry where to get off and reconstructed its infrastructure to reflect a greater appreciation of the natural world. In that, we could learn so much from the Dreaming at the hands of those entrusted with its custodianship and build a more sustainable future.